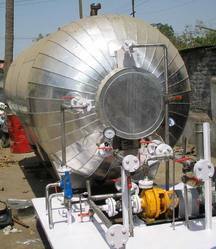 Manufacturer of a wide range of products which include liquid co2 mobile tanker and skid mounted co2 mobile tank. 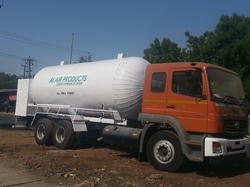 We are one of the pre-eminent manufacturers and suppliers of Liquid Co2 Mobile Tanker that comes with inbuilt pumping and safety system. Proffered range is properly equipped with equipment that is necessary for efficient loading and unloading. Ruggedly constructed, durable and capacious, these mobile tanks are massively appreciated and accepted for their high resistance to adverse weather.